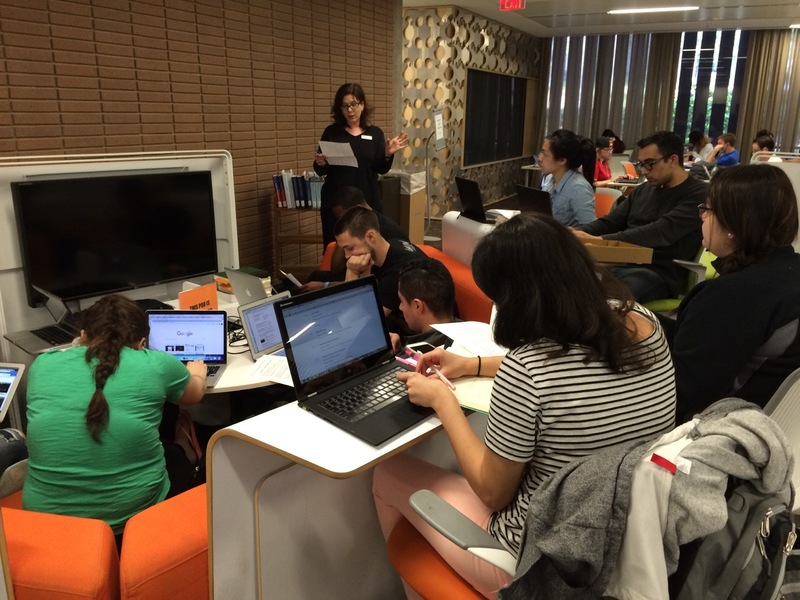 Students in History 191D listen to UCLA librarian Margarita Nafpaktitis explain editing rules for Wikipedia. Students in History 191D (Winter 2016), The Immigration Debate in Historical Perspective, spent part of their quarter editing immigration-related articles on Wikipedia. The site is among the most-visited, and a frequent stop for students writing term papers even if professors disapprove. The Wikimedia Foundation has a long-running campaign to diversify the editor base of Wikipedia, and over the past few years I have incorporated Wikipedia editing into my labor history classes. With the presidential election prominently featuring immigration issues, I shifted the focus. Some students wrote new articles on topics ranging from Central American refugees to the David Siqueros fresco America Tropical to Filipino labor leader Chris Mensalves. Others took on the task of correcting articles like those on the 1965 Immigration and Nationality Act, or supplementing articles with immigration-related content. We got a lot of help along the way from UCLA librarian Margarita Nafpaktitis, and the WikiEdu Foundation, which now runs a super-helpful dashboard for educators. This entry was posted in teaching and tagged immigration, teaching, Wikipedia by admin. Bookmark the permalink.